An Australian man who spent five years in Guantanamo Bay before admitting terrorism offences has filed an appeal against his conviction. David Hicks pleaded guilty to providing material support for terrorism in 2007 as part of a deal that saw him repatriated and later freed. His US-based lawyers now want to see his conviction overturned. They are arguing that a ruling in another case that struck down similar charges should be applied to Hicks. They also say that agreeing to admit the charges was the only way he could secure his release. Hick's lawyers are seeking to apply a ruling in the case of Osama Bin Laden's former driver and bodyguard, Salim Hamdan, to his case. An appeals court ruled last year that providing material support for terrorism was not recognised as a war crime when Hamdan was in Afghanistan. Both he and Hicks were prosecuted under a law enacted in 2006 and applied retroactively - something the court subsequently ruled could not be done. "Years after Hicks was convicted and served his sentence, a federal court has concluded that the process by which he was convicted was unlawful," said Wells Dixon of the Centre for Constitutional Rights, which is representing Hicks. He also said that Hicks saw a guilty plea as his only option. The appeal was filed on Tuesday with the US Court of Military Commission Review. A Pentagon spokesman said Hicks had waived his right to appeal as part of the plea deal - but Hicks' lawyers say the paperwork was improperly filed. 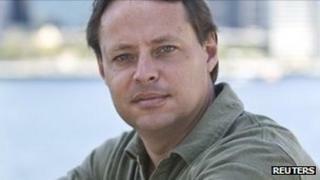 David Hicks, a convert to Islam who later renounced the faith, was captured with Taleban forces in Afghanistan in 2001. He admitted attending paramilitary training camps in Afghanistan, but argued he did not believe they were linked to terrorism. He is now living in Australia, after being released from prison in December 2007.